Organ Donation: the definition of death. Last week we explained organ donation. We started from the situation in which the donor is alive. This type of organ donation includes bone marrow, blood transfusion and kidney transplant (see here ). The most common form of organ donation, however, and the most controversial one is the cadaveric organ donation, i.e. donating the organs after one's death. This is the organ donation which is alluded to in the driver licenses where one authorizes or not to remove his organs for donation. As we previously explained there is a wide consensus among rabbis about the permission to donate an organ or a segment of an organ while the donor is alive, especially since in our days the risks for the donors have diminished dramatically. But with cadaveric donation there is a crucial point, which needs to be defined. That is: the definition of "death". Let me explain: some organs, like the heart for example, cannot be transplanted after they stops functioning. The heart must be removed from the body of the donor while it is still beating. Up to the 1970s, this operation was impossible because irreversible cardiopulmonary failure was the only standard for determining death. But, later on, scientists developed ventilators and respirators which would maintain the breathing, avoiding the heart from stoping. In a situation known as 'irreversible stem brain death', the brain might completely stop its activity, while the patient is still breathing and his heart still beating. The question is: is this patient considered dead because his brain is dead, or is he considered to be still alive, because his heart is still functioning? The answer to this question would determine the Halakhic status of after life organ donation. Last week we explained the First Principle: God's existence. The second principle of Jewish faith asserts that "God is One". Maimonides explains: "He is not "one", like a species (=category) which comprises many individual", as when we say "one" book. "He is not like a physical thing, which can be divided into parts and dimensions", like a book, which is comprised of pages, cover, ink, etc. "He is one with a kind of Unity which is unique, exclusive of God". ALL other nations and civilizations in antiquity, conceived the existence and coexistence of several gods, because they saw in nature forces that evidently oppose each other. Life and death, good and evil, light and darkness, etc. Their reasoning was that multiple gods must be responsible for the diversity and opposite powers of 'natural ' forces. We Jews believe that there are no other powers independent from, or beyond God's control. Rabi Yehuda haLevi explains in the Kuzari that this is why the word "Elokim" (Almighty) is written in the Plural: to express that all powers in the universe, all forces, depend on One source: God Almighty. Abraham Abinu's idea of ONE (and "invisible") God, revolutionized humanity in many ways. Not just as an arithmetic reduction of gods, but mainly because of the moral implications of it. Let me explain: Conceiving the existence of more than one God, represents an open invitation for moral relativism. One God is worshiped by waging war, the other, by peace. One by love, the other by murder. One by drunkenness, the other by sobriety, etc. Nothing is morally right or wrong in itself. The morality of one's actions depends on the god one would worship today. "One" God, means, among other things, moral clarity. There is ONE and ABSOLUTE set of moral behavior, coming from ONE God. Monotheism, leaves no room for moral blurriness. Raphael Meldola (1754-1828), was the son of Moses Hezekiah Meldola (1725-1791), professor of Oriental languages in Paris. Raphael was born in Leghorn (Livorno), Italy in 1754. He received a thorough university training, both in theological and in secular branches, and displayed such remarkable talents that when only fifteen years old he was permitted to take his seat in the rabbinical college and received his rabbinical ordination from the famous Chida (Rabbi Chayim Yosef David Azulai, z"l). In 1804 he was appointed as Chakham of the Sephardi community in London. Rabbi Meldola possessed of a remarkably virile mind, he was a dominant factor in the British Jewry of his generation. His scholarship attracted around him a circle in which were many of the most distinguished men of his day, including Benjamin Disraeli (first Jewish-born British Primer Minister) and Isaac Disraeli and it is noteworthy that he opposed the policy which produced the famous rupture between the later and the mahamad (the lay leaders of the Spanish and Portuguese community in London). 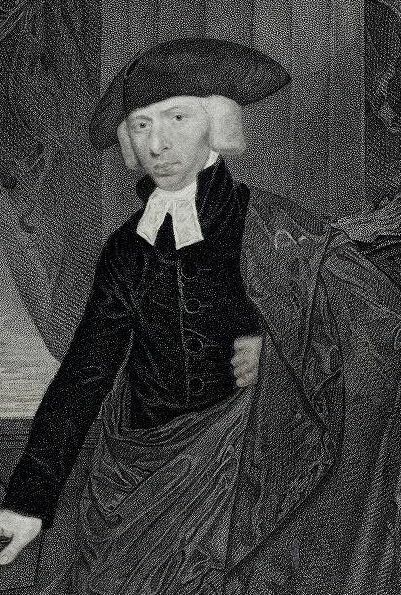 He maintained a literary correspondence with many of the most prominent Christian clergymen and scholars of his time; and his acquaintance with the Archbishop of Canterbury and the Canon ofWindsor led to his being received by King George III. He wrote the book Chuppat Chatanim (1797), on the laws of marital life. He also published sermons and memorial poems. His book Derekh Emunah (The Way of Faith) appeared with his English translation after his death. His son David Meldola (1797-1853), succeeded him as presiding rabbi though not as Chakham of the Sephardi community in London. In the following Rabbinical Responsa, rabbi Meldola criticizes all those who are not careful to read the Tora or the Tefila, without knowing and without applying the laws of Hebrew grammar (diqduq). In the Hebrew section of the Responsa, he also criticizes those who pretend that correct Hebrew reading pertain to the area of Minhagim, and therefore, don't see the correct reading of the Tora as absolutely mandatory. It is a worth reading text for all those interested in Hebrew grammar and its application in Jewish Liturgy. Shema Israel: Pasuq 1. God exists. He is our God. And He is one. Last week we explained the first word "Shema". Which in Hebrew means, listening while paying attention and understanding what you are told. Elsewhere, I have shared with the readers a derasha on the second word: "Israel", and how it hints to the names of our three patriarchs and four matriarchs. These two words are announcing that a very important message will be delivered to the members of the Nation of Israel. "HaShem is our God, HaShem is one"
"HaShem", literally means "The Name" and it alludes to God. So, anytime you find "HaShem" you could mentally replace it for "The God of Israel". Rabbenu Bahya Ebn Paquda (Span, XI century) in his book Chobot haLebabaot explains that this verse includes three principles, the core beliefs of the Jewish faith. 1. HaShem IS our God...: The first thing you affirm when you say "the book is blue" is that the book "is" = exists. Similarly. The first message of "Shema Israel" is that HaShem exists. 2. HaShem is OUR God: Evidently, HaShem is the God of every human being. He is the Creator of heavens, earth and life. What does it mean then OUR God? "Our" God is saying more about US than about God. It means that God established a special covenant, a unique relationship with us, by choosing us and giving us His Tora. He made us HIS People, the "chosen people". Which implies that we have more responsibilities and we are expected to follow higher moral standards than gentiles. 3. HaShem is ONE: The unity of God is a cardinal principle. There are no gods or other forces outside God's control. One example: We don't believe in "Nature" as an independent force. God is the artifice of nature. He controls, runs and operates nature. Pidyon haBen. How frequent is it? Last week we explained the Mitzva of Pidyon haBen, and why the first born males have to be redeemed from a Cohen. The Pidyon HaBen applies only to males (women were not bound to the service of the Tabernacle and Bet haMiqdash). To be redeemed, the baby must be a bekhor, a natural-born-first-born-boy, who "opened his mother's womb" (peter rechem). Therefore, if his mother have previously given birth to a baby girl, the boy who is born after her is not considered a first-born. If the mother had a miscarriage or an abortion, the first-born is not considered a bekhor. This is when the miscarriage occurred after the third month of pregnancy. However, if the miscarriage occurred during the first 40 days of pregnancy, redemption is required. If it occurred after forty days, but before the fetus developed distinguishing physical characteristics, redemption of the first-born is still required, but the ritual berakha said by the father is omitted. The bekhor, has to be born naturally (peter rechem). Therefore, if the first born is a boy, but he was born via C-section, he is not considered a naturally born bekhor and he is not redeemed. Also, if the father or the mother are Cohen the Pidyon is not performed. And lastly, if the mother or father are Levites (levy), the Pidyon is not done. Why? Because the Levites are still obliged to assist the Cohanim in Divine service, andcannot be redeemed from this religious obligation. Levites remain irredeemably to this day, and are expected to report for duty as soon as B'H our Bet HaMiqdash will be rebuilt. All these conditions mean that Pidyon haben is rather the exception, not the rule. It happens in approximately in 35% of all first time births.